What is that pain in my leg? Leg pain stinks, that’s pretty straight forward. You feel it every time you take a step - there’s no avoiding it. Virtually everything we do, even sitting, has something to do with our legs. If you have leg pain, chronic or acute, you are already intimately aware of that fact. What you may not have known isn’t necessarily even related to your legs. As is sometimes the case, leg pain can actually be caused by spinal issues. At Living Well Medical in NYC, non-surgical treatment of the spine is one of our strengths, so we see cases like these all the time. Let’s explain a little more what’s happening in your body that makes you leg hurt so badly. As you likely know, the spine houses and protects the nerves as they provide sensation, information and movement to the body. Near the base of the spine in the lumbar region are the nerve roots that supply the legs and lower body with nerve function, what we call innervation. Sometimes due to anatomical defects and sometimes due to injuries, these nerves can be compressed or pinched which leads to inflammation and pain. In the worst cases, long term pinched nerves (or impingement as it is also called) can lead to muscle weakness and numbness. In cases like these, a herniated disc might be the cause of the pinched nerve and leg pain. My practice has a number of different therapies and treatments available for conditions like these. In fact, we are well prepared to treat most any kind of pain. 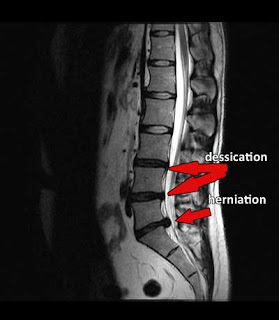 Of particular use for disc-related pain is spinal decompression therapy, a relatively new technology for spinal disc treatment. Chiropractic, physical therapy, and Active Release Technique have also proven invaluable in treating leg pain. At our SoHo NYC office we see people with pain ranging from sports injuries to severe back pain. If you are suffering with leg pain, call us - we want to help: (212) 645-8151. Spinal Decompression has saved so many from dangerous surgery. My patients are so thankful after finishing the sessions and are able to live a normal life once again...with all their parts intact. Thanks Dr. Shoshany for spreading the word. I know from personal experience that pinched nerves can be EXTREMELY painful. I started seeing a chiropractor and instantly felt relief. Now I just go for maintenance adjustments and can happily say I've never had another pinched nerve. I am amazed on a weekly basis on how many people have opted for surgery before trying spinal decompression...This procedure works AMAZINGLY WELL and supports the body's ability to heal and grow naturall without drugs and surgery. If you are a surgery candidate - please try this first as so many people (you can see all the testimonials!) have had success!